Daniel Lavoie (born Joseph-Hubert-Gérald Lavoie; March 17, 1949; ) is a Canadian singer–songwriter, actor, producer, poet, and radio host, known for his song "Ils s'aiment" and the role of Frollo in musical Notre-Dame de Paris. He releases albums and performs on stage in Canada and France and tours in Canada and Europe. Daniel Lavoie was born in Dunrea, Manitoba on March 17, 1949. He is bilingual in English and French, since his family was part of a small French-speaking community in the predominantly anglophone province. He is the eldest of six children. His father was a shopkeeper and his mother a housewife. Daniel took piano lessons with nuns as a little boy and continued his musical education in a French-language Jesuit boarding school, Collège de St-Boniface (now Université de Saint-Boniface), in St. Boniface neighborhood of Winnipeg, Manitoba. In 1967, Daniel Lavoie won the CBC's competition for singer-songwriters "Jeunesse Oblige". Soon after that he began touring Quebec's music clubs with groups (Spectre, then Dieu de l'amour vous aime). At that time he changed his name from Gérald to Daniel. In 1973 Daniel Lavoie recorded his first single, "Marie connue", and in 1974, his second, "S'endormir pour une rose". His first album A court terme (1975) had moderate success. One of the songs from this albums, "J'ai quitté mon île" became especially popular in France and also in Portugal and Brazil. In 2009 "J'ai quitté mon île" was selected by CBC Radio listeners among the top 49 Canadian songs in all genres that best defined the country's image for Barack Obama, to be presented to him on an iPod for his inauguration. The second album, Berceuse pour un Lion (1977) was well received in Quebec and contained several hits ("Dans le temps des animaux", "La Vérité sur la vérité", "Berceuse pour un lion"), but it was the third album, Nirvana bleu (1979) that brought Daniel Lavoie true recognition in Quebec. He toured all over Quebec and also performed in France (Théâtre Montparnasse in Paris in 1980). His popularity as a live performer was growing. In 1980 he received his first Félix Award for the best male singer of the year. Many more were to follow. In 1981, Daniel Lavoie released his first English-language album Cravings as well as his fourth French-language album Aigre doux. The year 1984 was a turning point in Daniel Lavoie's career with the release of his album Tension Attention (European title Ils s'aiment). One of the songs from this album, "Ils s'aiment" became especially popular and its single sold 2 million copies. It has been translated into several languages and covered by dozens of performers, among them Ana Belén ("Ellos se aman", in Spanish), Richard Cocciante (in Italian and Spanish), Diane Dufresne (in French), Paulo Gonzo ("Ridiculous Love", in English), Ramses Shaffy ("Regenboog", in Dutch). "Ils s'aiment" and "Tension Attention" brought Daniel Lavoie multiple awards both in Quebec and in France. The same year Daniel created his solo concert show Hôtel des rêves which he presented both in Quebec and in Europe. Lavoie's next album, Vue sur la mer (1987) was another success. The release was followed by 5 nights engagement at the Olympia theatre in Paris, and later a 21-date tour throughout Europe. More awards followed, and in the spring of 1988 for three months Lavoie performed his show Hôtel des rêves at the Théâtre Outremont in Montreal. The 1990 album Long Courrier (European title Chanson de la Terre) included "Qui sait", "Le pape du rap", and "Jours de plaine". 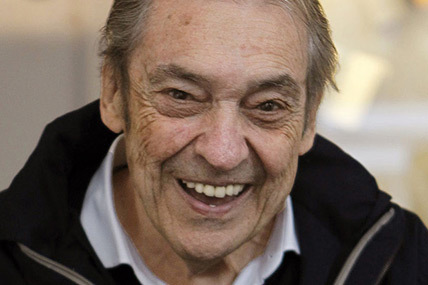 A study conducted in the early 1990-s placed Lavoie among most highly respected by their peers French-Canadian singer-songwriters. In 1992 Lavoie participated in Catherine Lara's symphonic rock-musical Sand et les Romantiques, performing the part of Eugène Delacroix. The same year he released another English-language album, Here in the heart. He also appeared in an episode of the American soap opera General Hospital as himself performing his own song "Weak for Love". Lavoie's next and final English-language album Woman to Man appeared in 1994. In 1995 Lavoie released a new album Ici (European title Où la route mène) which introduced new hits such as "Où la route mène", "Je pensais pas", and "Je suis une rivière". Two albums for children followed: Le Bébé Dragon (1996) and Le Bébé Dragon vol. 2 (1997). Live album of Lavoie's best hits along with never-before performed pieces, Live au Divan Vert (European title Le meilleur de Daniel Lavoie) was recorded in 1997. In 2002 Lavoie was cast in another musical in Paris, this time Le Petit Prince by Richard Cocciante and Elisabeth Anais, based on Antoine de St-Exupéry's book. He performed the part of the Pilot until April 2003. The new album Comédies humaines was released in 2004 and included hits like "Violoncelle" and "Bénies Soient Les Femmes". A tour in France and Quebec followed. The same year Lavoie released a storybook for children illustrated by Oksana Kemarskaya Roulé Boulé: Je suis une boule qui roule, accompanied by an album of the same name that consisted of selections from the two Bébé dragon albums. In 2011 this work was selected along with several other books for use as elementary school teaching texts in Quebec and republished with a teaching aide within a series L'école de La Montagne secrète. In February 2005 Lavoie participated in a stage revival of Nelligan, an opera by André Gagnon based on the works and biography of Émile Nelligan, Quebec's late 19th-century poet. The show, in which Lavoie sang the part of the Old Nelligan was recorded in a live album. The album Docteur Tendresse appeared in 2007. It included songs like "Docteur Tendresse", "La voilà notre armée" (to the lyrics by Allain Leprest). In 2008 Lavoie accepted an invitation to participate in a project that united music with the poetry of Gaston Miron, Quebec's 20th-century poet : the album Douze homme rapaillés, a collection of musical settings of Miron's poems by Gilles Bélanger and performed by various Quebec's singers-songwriters. The second volume of this work came out in 2010 (Douze homme rapaillés – volume 2). The rare stage performances of Douze homme rapaillés won both critical and popular acclaim. The third installment of the project, the disc La symphonie rapaillée presenting a selection of the songs from the previous two albums, this time accompanied by an orchestra, was released in April 2014. Beginning in December 2010 Lavoie participated in a series of the concert versions of Notre-Dame de Paris which reunited the original cast. These shows were presented in Kiev, Moscow, Saint-Petersburg, Paris and Beirut. In 2011 Lavoie released J'écoute la radio, an album of newly arranged hits plus a new song (J'écoute la radio). A new concert show took Lavoie on a tour that lasted for almost 2 years (until Spring 2013) all over Quebec, as well as in France, Russia and Ukraine. On March 25, 2014 the French production company Le Chant du Monde (a Harmonia mundi label) released a new disc, Daniel Lavoie: La Licorne captive – Un projet musical de Laurent Guardo. This musical project exploring classical myths and legends features Daniel Lavoie as a vocalist performing songs written for him by a Canadian composer-songwriter Laurent Guardo, accompanied by an ensemble of early music and ethnic instruments. In 2014-2015 Lavoie and Guardo presented live shows of the album in Paris. and in Quebec. On July 1, 2014 Daniel Lavoie participated in the official Canada Day on Parliament Hill in Ottawa evening show as one of its featured performers, representing his native Manitoba. Daniel Lavoie's new album titled Mes longs voyages was released in September 2016. Produced with Guy St-Onge, this album comprises both original songs as well as covers of songs by Léo Ferré, Alain Bashung, Allain Leprest and Félix Leclerc. A Canadian concert tour Mes longs voyages followed in February–March 2017, and in the spring of 2018. One of the concerts took place at the 2017 Montréal en lumière festival, which named Lavoie President of Honor. Since November 2016 Daniel Lavoie has been part of the cast of the revival of the musical Notre Dame de Paris reprising his role of Frollo in the Palais des Congrès in Paris, with the tour of France and other countries scheduled throughout 2016-2019. In addition to writing his own songs, throughout his career Daniel Lavoie has been writing music for other performers, such as Celine Dion, Maurane, Florent Pagny, Jean Guidoni, Allain Leprest, Nolwenn Leroy, Bruno Pelletier, Natasha St-Pier, Luce Dufault, Lara Fabian, Roch Voisine et al. Daniel Lavoie often collaborates with his colleagues, by recording duos or solo tracks for their albums. Some examples of such collaboration are albums "Chez Leprest, vol. 1" (2007), "Leprest symphonique" (2011), Dominica Merola's "Appassionata" (2010), Liona Boyd's "The return... To Canada with love…" (2013), book disc set "Chats de Paris" by Gérard Beauchamp (2009), followed by "Chats de Montréal" (2011), Valérie Carpentier's "L'été des orages" (2013) et al. 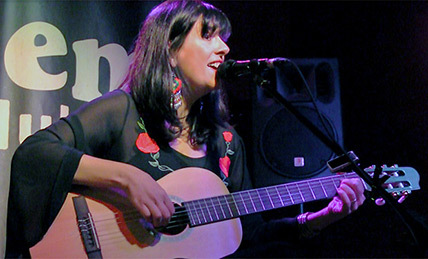 Lavoie also produces musical albums by other performers, like Marie-Jo Thério, Louise Forestier, Hart-Rouge Band, and Gilles Vigneault (the album Vivre debout, 2014). Daniel Lavoie appeared in several films, although he never considered acting in film an important part of his career. He acted in a 1991 Canadian film by Jean Pierre Lefebvre, The Fabulous Voyage of the Angel (Le fabuleux voyage de l'ange), for which he also wrote the musical score. He received a Genie Award nomination for Best Original Song, for "Quand tu partiras". In 2002 Lavoie appeared in a Canadian TV film directed by Claude Fournier The Book of Eve, alongside Claire Bloom. In 2004 Daniel Lavoie starred as Quebec's singer-songwriter Félix Leclerc in the mini-series Félix Leclerc, directed by Fournier for Canadian and French television. In addition Lavoie has recorded his own musical tribute to Leclerc, an album Moi, mon Félix (2005). In 2012 Lavoie appeared in a cameo role in a French TV mini-series Antigone 34, created by Brice Homs and Alexis Nolent. In addition to acting in films, Daniel has also written songs and music scores for a number of films. In 2011, Lavoie published a book of poems and poetic essays, Finutilité (Saint-Boniface : Les Éditions des Plaines) In 2014 a Russian translation of the book was published in Russia under the title Пустонечность (Saint-Petersburg : Polifarm, 2014). In the Spring of 2013 Lavoie became the official representative of the Maison de la Poésie de Montréal Spring fundraising campaign. Daniel's second book of poetry, Particulités was published in 2015. For three years (from June 2010 through June 2013) Daniel Lavoie was hosting his own radio show, Lavoie libre, on the Espace Musique channel of Radio Canada. The show featured music in a variety of styles and of many ethnic origins as well as poetry by Francophone poets, mostly from North America, read on the air by the host himself.